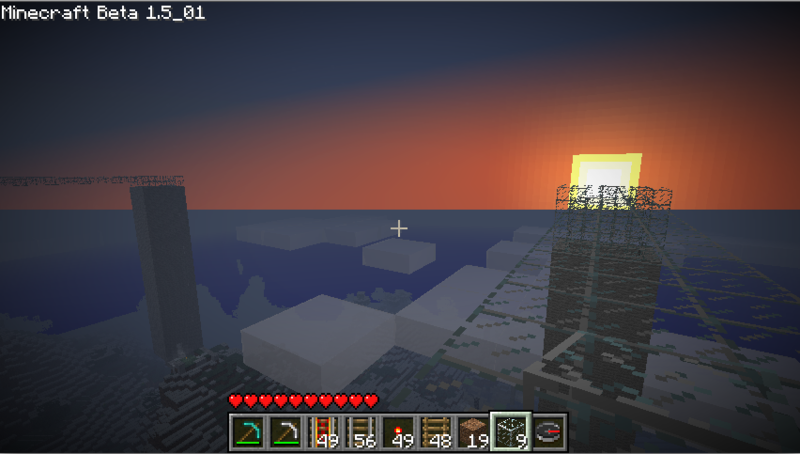 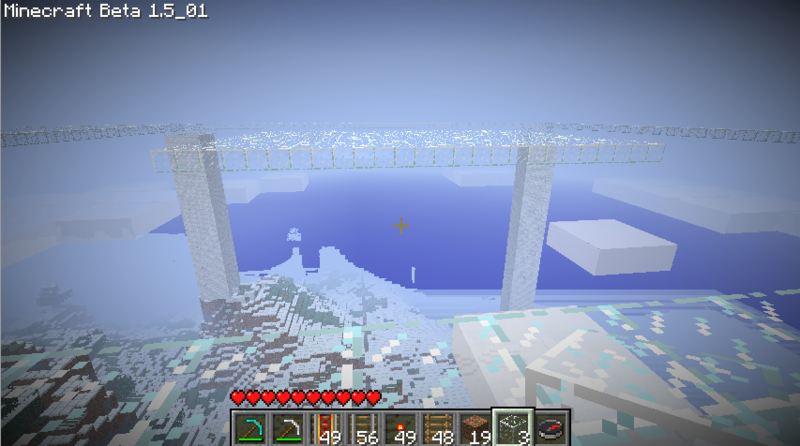 Finishing off the skybridge: because of a graphics glitch due to the height, I couldn't see Eric, so the glass was appearing out of nowhere! 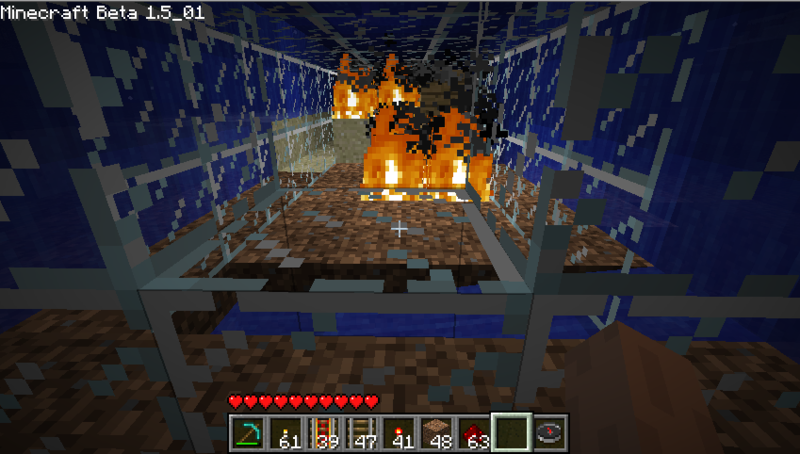 I decided to experiment with power rails: they’re not as powerful as the boosters I’d been using, but they’re a good deal more straightforward and less prone to chaos created by cows. 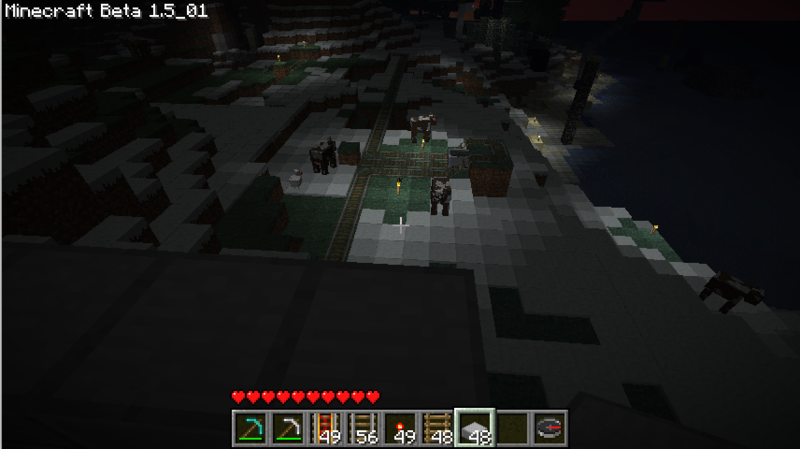 Miranda helped, and we ended up looping the rails around to the other side of the temple, so now they make an almost complete circle. 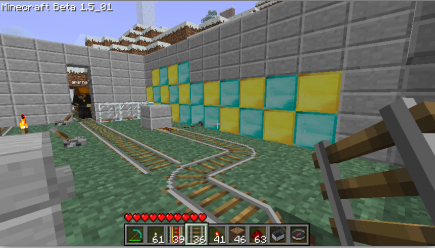 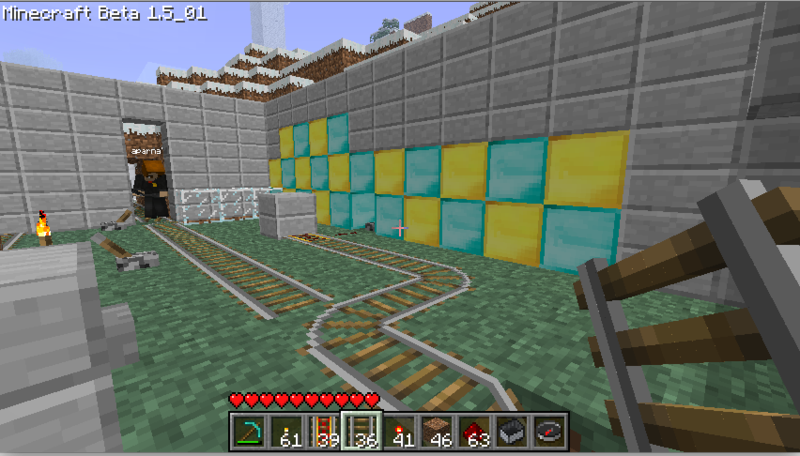 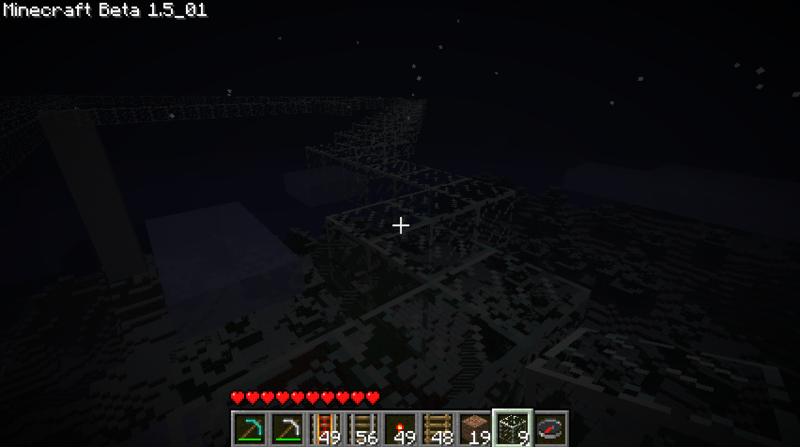 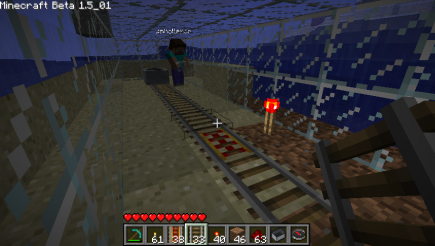 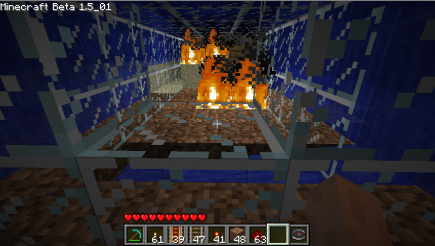 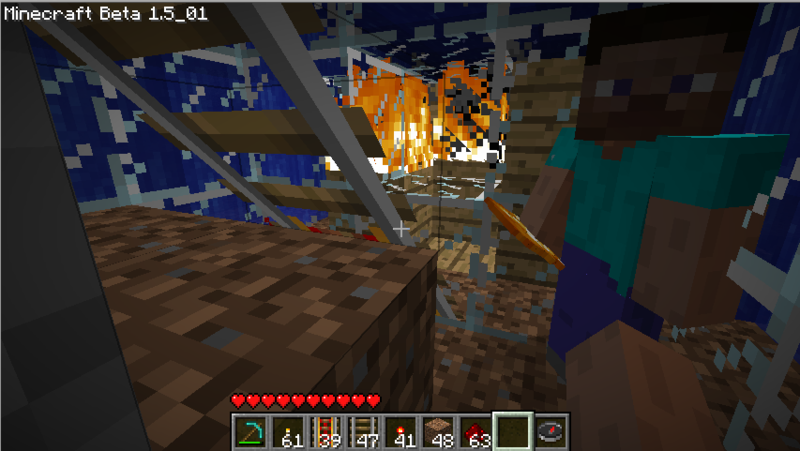 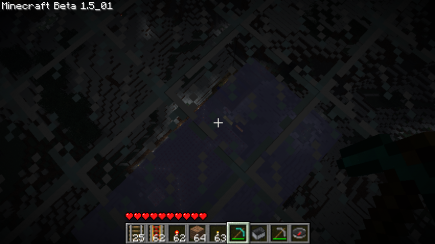 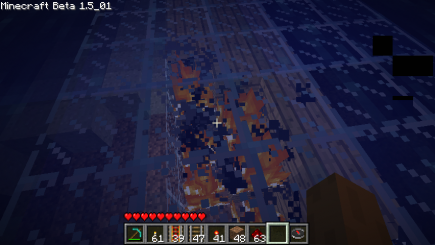 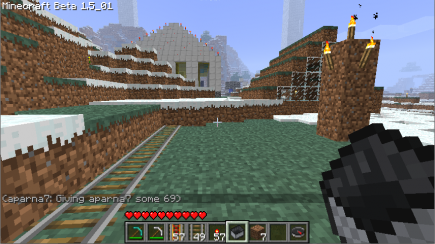 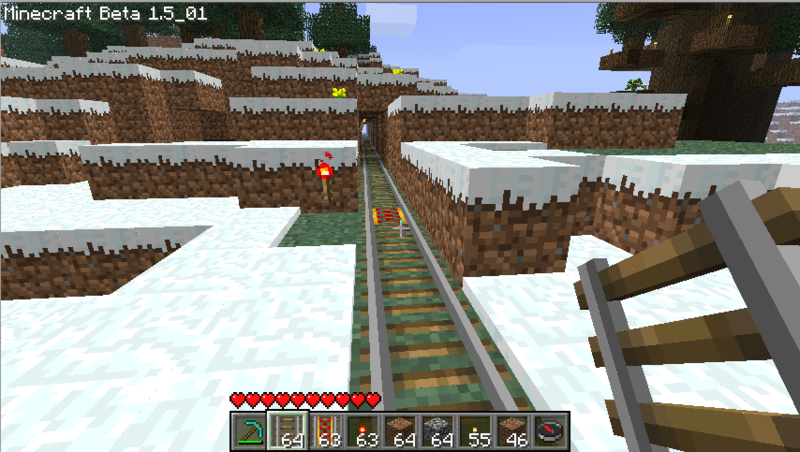 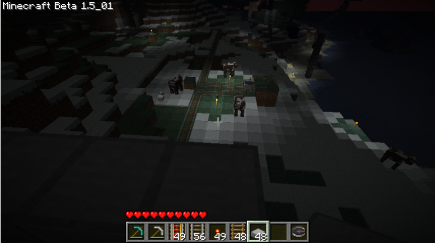 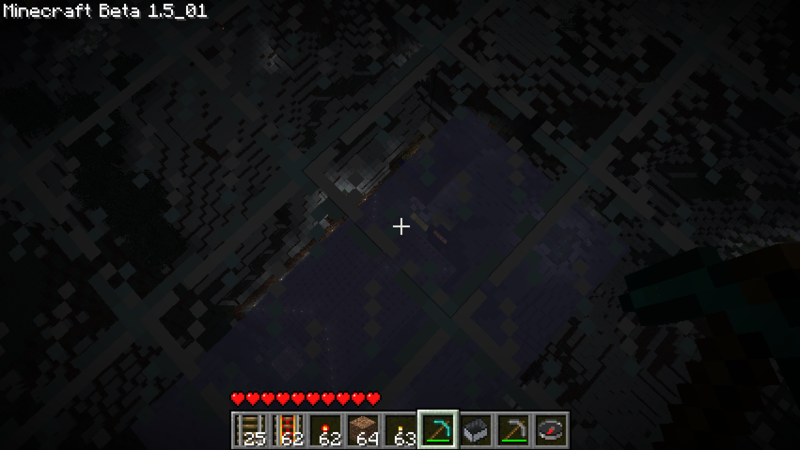 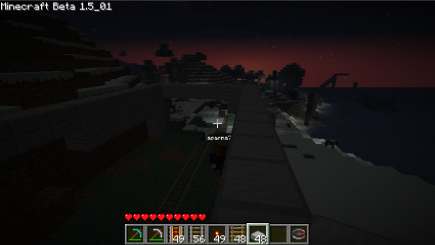 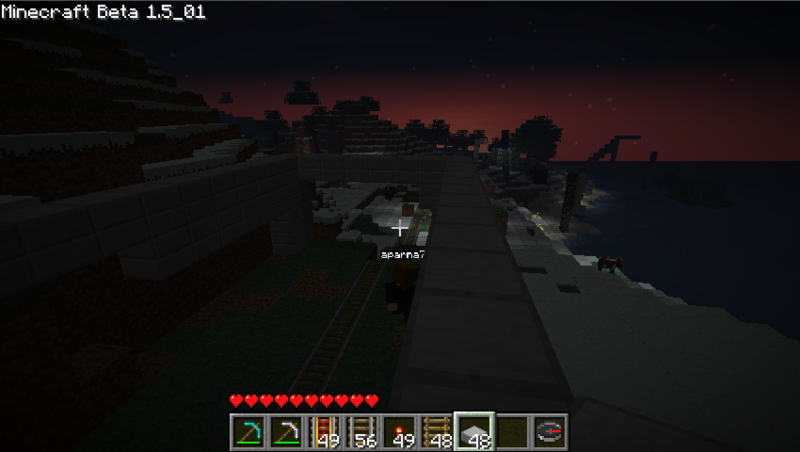 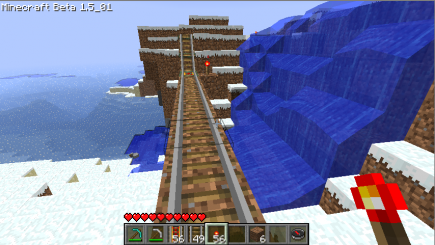 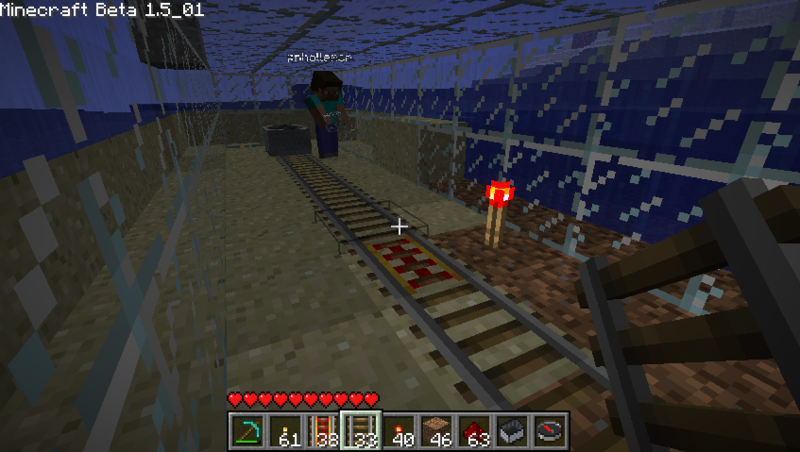 After that, we decided to build a train station near the other end of the line (right where the tracks had gone plunging into the lava, though we blocked that off). 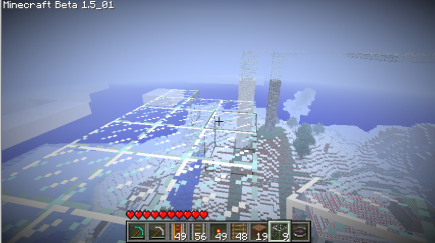 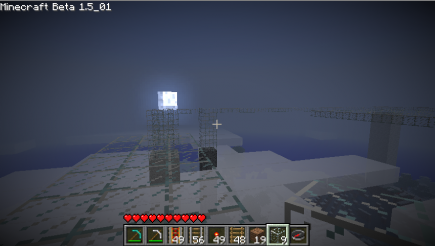 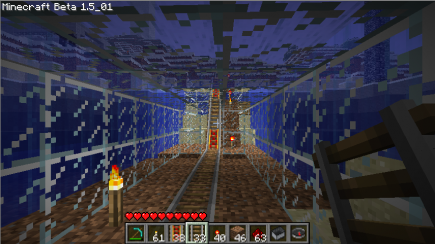 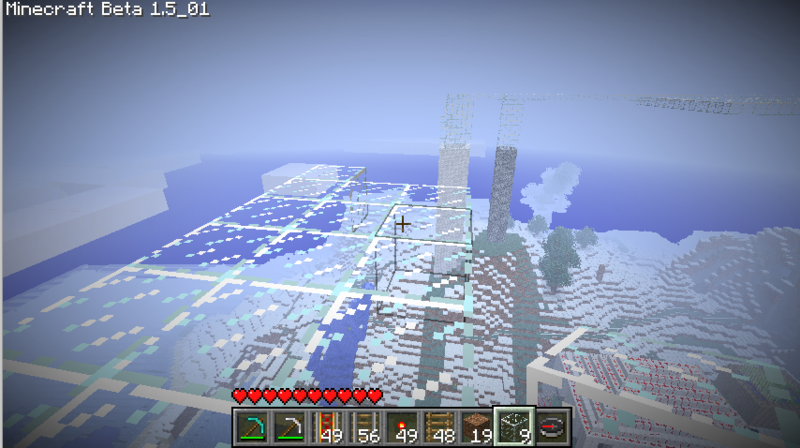 Finally, Pat and Jonathan decided to build an underwater tunnel. 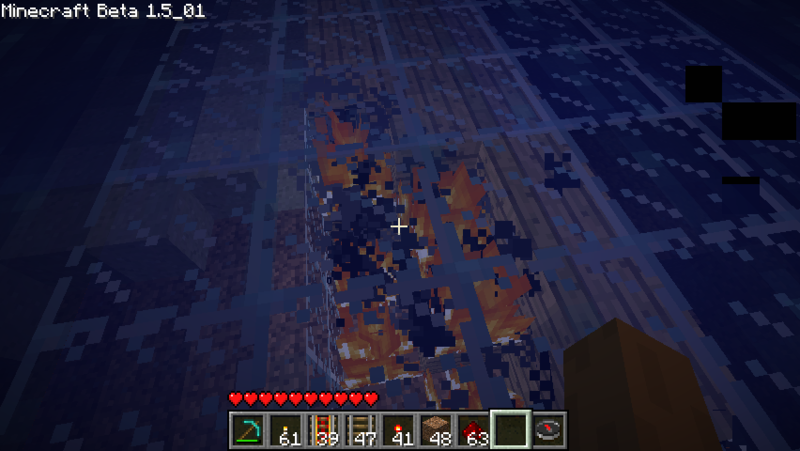 They did that by building a wood core surrounded by glass, and then burning out the wood, which worked really well. 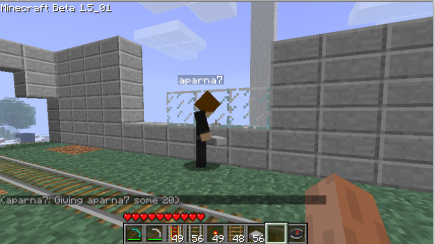 We do this every month, so feel free to come join us on May 26!